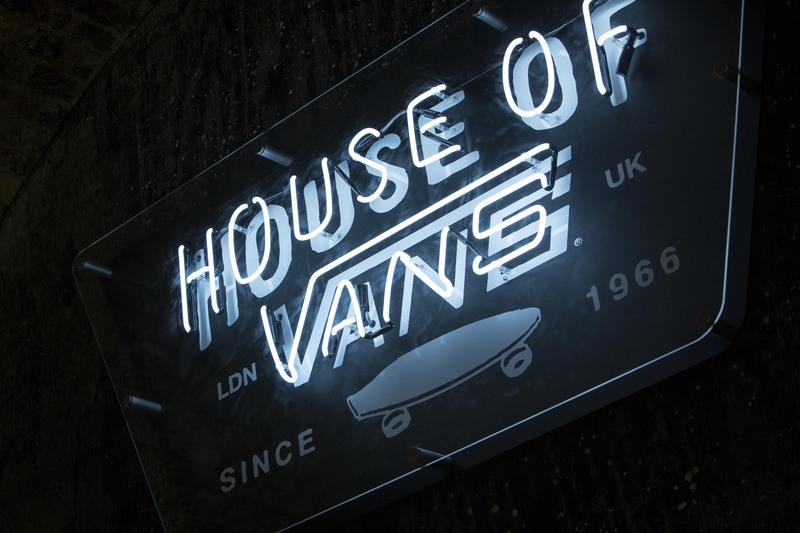 House of Vans London Opens August 9th! The vast 30,000 square feet iconic indoor-space in Waterloo will be transformed into an ‘Off The Wall’ home for the European edition of The House Of Vans – a physical manifestation of the culture and creativity that have defined the Vans brand since 1966. Always embracing and fuelling creative expression through art, music, skateboarding, street culture and fashion; the space offers a solid platform for the local communities to experience and engage with Vans’ ‘Off The Wall’ spirit. With creative expression at the forefront; The House of Vans London will showcase an art gallery for new up & coming artists, a VansLab artist incubator space, cinema, live music venue, premium café and bars, gifting suite AND (obviously our favourite) a skater built/designed concrete bowl, mini ramp and street course! Just take a look at these photos to whet your appetite!! The space is ready for both work and play; with a wide range of educational & learning activities on offer. Not forgetting, our cultural and sporting events that will attract the best talent from across the globe…from skateboarding and beyond. ← The Unicorn Girls Jam at Mile End This September!